Luna believes balanced eating and healthy living are the foundation of true wellness. Healthy Kitchen 101 is where she shares her wholesome recipes, quick cooking tips, and kitchen tool reviews to make a healthy lifestyle a more convenient choice for busy individuals and families. Pretty much everyone has a food processor at home. It’s not just owing to the fact that most of the people I know have one, but also by the increasing sales of the appliance. However, I’m not certain that all of us know how to exploit them to the fullest. 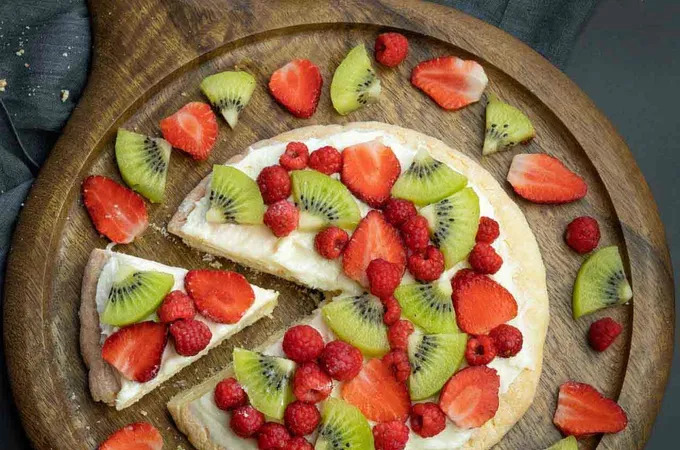 Instead of good ol’ tomatoey, cheesy, meaty pizzas, we sprinkle fruits and douse sweet milky cream onto this bad boy. Though it might sound weird, you won’t be able to resist once it gets on the table. Remember, there’s no excuse for eating healthy once in a while, and of course, no reason not to do it deliciously. This simple recipe takes 5 minutes to prepare! I’m not even exaggerating. This is how easy and fast your breakfast casserole is! If you’re feeding a crowd, make some now and you’ll save more time for yourself. It’s also darn easy to whip up a vegan Massaman curry. All you need to do is to ditch the chicken and replace it with chickpeas or tofu. Don’t hesitate to pack the dish with more vegetables such as roasted beans and quinoa or, even simpler, add more potatoes. This scalloped potatoes recipe is one of those that take minutes to prep and hours to cook. I highly suggest you put it in the oven, set the timer and go do something else while you wait for it to cook. Just like that, your day has become much more efficient! Baked altogether in a creamy sauce, this chicken and rice casserole is rich, savory and so easily adaptable with extra seasonings of your own choice. Simply prepare a large batch and stock it in your freezer, so you can have it ready on demand anytime and anywhere. Can you core, slice, and peel an apple in less than a minute? Accept the challenge with this apple peeler, slicer and corer from Victorio Kitchen. With a lot of apples, potatoes and other fruits, roots, and veggies to prepare in the kitchen, you want a machine that is fast and efficient to help you save the time for more interesting work. Such machines exist, and they’re called apple/potato peelers. We’ve handpicked the best apple slicers on the market and compiled into this list for you. Get one of these, and save the time and effort on coring and dividing your apples!